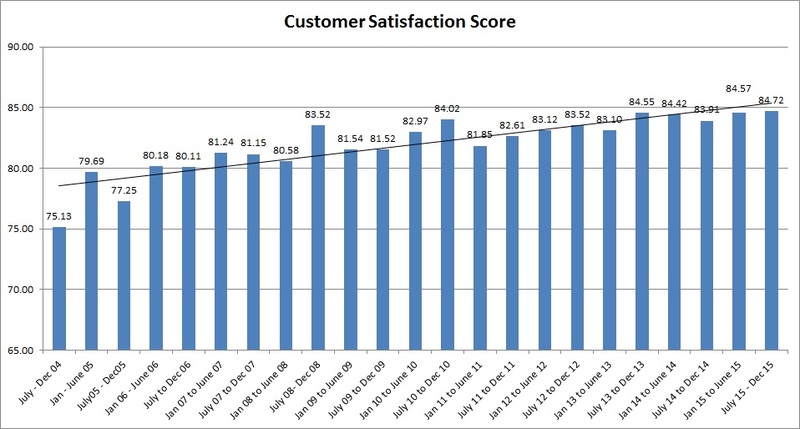 Deki is doing a six monthly customer satisfaction survey. In the recent survey done in Jan16 (evaluation period of July 15 to Dec 15), Deki scored 84.72% (target >85%), which is the highest ever rating. The survey comprises questions regarding the quality / reliability of Deki capacitors, complaint handling, price, Delivery, technical support, response speed & quality of response and their perception of values offered by Deki.